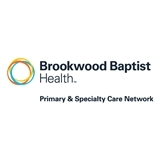 Brookwood Primary Care - Inverness (Birmingham) - Book Appointment Online! If you need an annual physical, please call our office for assistance. Our online appointments are reserved for brief, acute type appointments. Visit was quick. All people were courteous, helpful, and thorough. Needed some extra help and they were very kind so I didn't feel so foolish. Excellent doctor with wonderful listening skills and excellent bedside manner. Would recommend to anyone needing full service care.